These video guides will help you to make the most of the Freshwater maps. Discover how to simply view data and analyse information collected by the public and regulatory agencies. Learn more on exploring an area of local interest and interrogating the data for the Thames catchment. 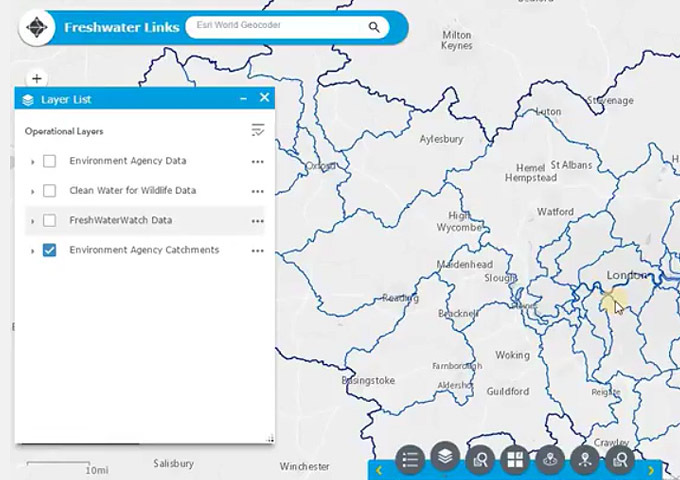 Discover how to use the Freshwater Links map application to start interacting with the different datasets available in the Freshwater links platform. 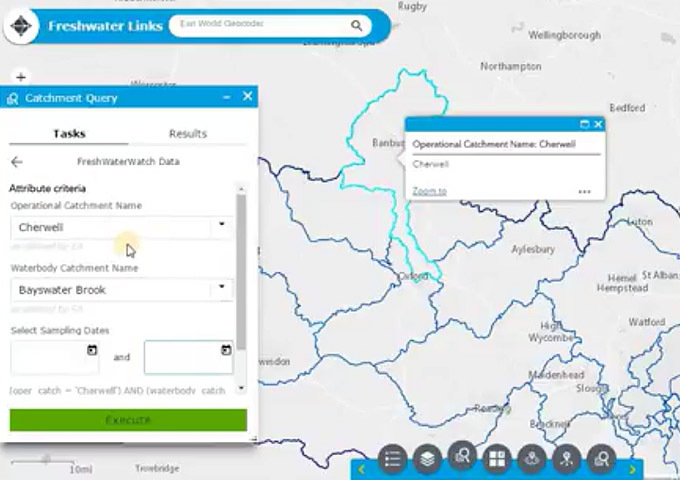 Discover how to use the Freshwater Links map application to query, analyse and download data using a place and area of interest. Discover how to use the Water Blitz Result Map and learn how to make the most of the analysis tool. What is the Freshwater Links website? 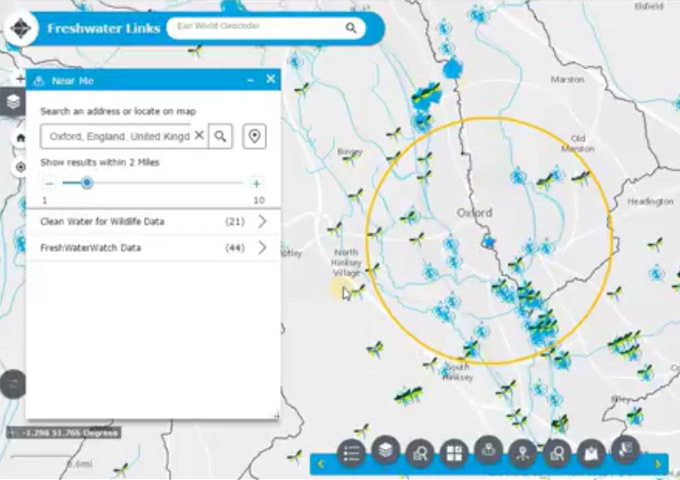 Freshwater Links is a GIS platform bringing together multiple environmental projects with a citizen science component across the River Thames catchment into a single online location. Freshwater Links seeks to enhance geospatial resource sharing between volunteer's initiatives, NGOs and government organisations. Visitors to Freshwater Links will be able to discover information, join in, and encourage ideas that will help to improve the quality of their local aquatic environments. GIS stands for Geographic Information System. GIS is a system used to digitally manage a collection of objects that reflect the real world. Geographic Information Systems allow us to view, understand, question, interpret and visualise our world in ways that reveal relationships, patterns, and trends. For help with these definitions please visit ESRI's Online GIS Dictionary. What software and equipment does Freshwater Links use? We use a combination of open source and proprietary software. The platform has been developed using Server and Portal for ArcGIS. Is experience of GIS required to use Freshwater Links? No. Freshwater Links has been designed for users with a wide range of backgrounds and abilities. If you can use a web browser and Excel then you are ready to start using the Freshwater Links platform. What usage conditions or restrictions apply to Freshwater Links data? All data within Freshwater Links has been made freely available for download from the site. It is not permitted to distribute data to a third party for commercial benefit. Environment Agency (EA) and Ordnance Survey (OS) data are provided under the Open Government Licence. What kind of data can I find on Freshwater Links? Currently the Freshwater Links platform has made water quality measurements from Januray 2013 to December 2016 available. Do I need to register to use Freshwater Links? No, you do not need to register to use the Freshwater Links platform, as all of the datasets that form part of the site are freely available to all. Can I access environmental agency data on Freshwater Links? Freshwater Links is intended to assist anyone with an interest in environmental data to access geographical data produced by the Environment Agency. Currently the Freshwater Links platform has made water quality measurements in the River Thames catchment (from 2013 to 2016) available. Much of the data you can view and query on Freshwater Links is also available to download from Environmental Data Website. Can I print a map from Freshwater Links for my own use? Yes. However the following copyright statements need to be added to the printed version of the map. The Freshwater Links' team cannot guarantee the accuracy of the data presented on this platform and is not responsible for incorrect interpretation. If accuracy is important, it is recommended to obtain more information from each project, please check the Maps & Stories for further details. I would like to provide my feedback, who should I contact? You can contact the Freshwater Links' team using the contact form on this page. Is my internet browser compatible with Freshwater Links? I can’t access a Map or page on Freshwater Links – what can I do next? The Freshwater Links platforms is designed to work with all mainstream web browser, the platform can also be viewed using mobile devices (tables and phones) but there are some small limitations in the display when these are used. Users sometimes may have problems accessing Freshwater Links pages due to IT security policies within their organisations, please check with your IT department to establish if this is the case. 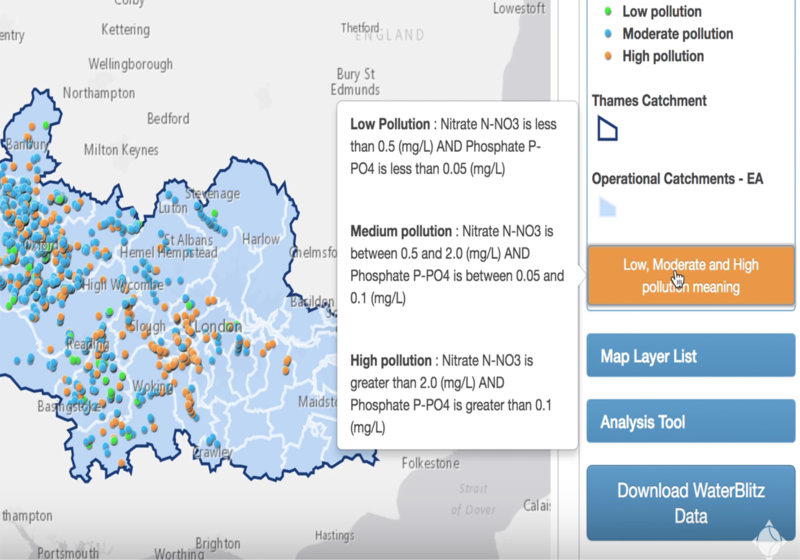 The development of the Freshwater Links platform was a joint effort between Earthwatch and Thames Water with an active collaboration of the data partners. If you need any further help regarding the maps and data or you would like to provide us with any feedback, then please complete the form below and we will get back to you.